Enough plastic moving boxes for a large office that supports 16 to 50 people, plus security seals, labels and a marker pen. 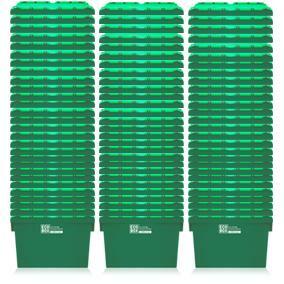 Why order our plastic moving boxes for a large office online? 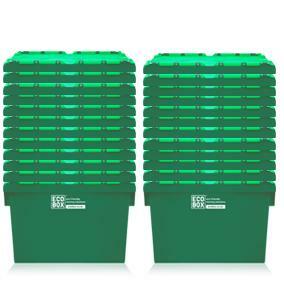 Buy our large office moving box kit online and you’ll be able to control the costs involved in packing the contents of a large office. You’ll also save the time and effort involved in sourcing enough suitable boxes for the move. 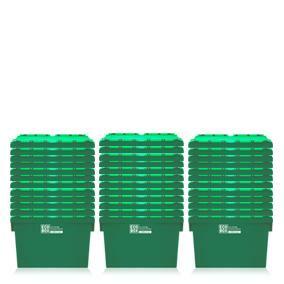 The Ecoboxes included in our large office relocation kit are sturdy, recyclable plastic moving boxes. They’re suitable for protecting even fragile or sensitive office items, from computer peripherals to employees’ personal knick-knacks. 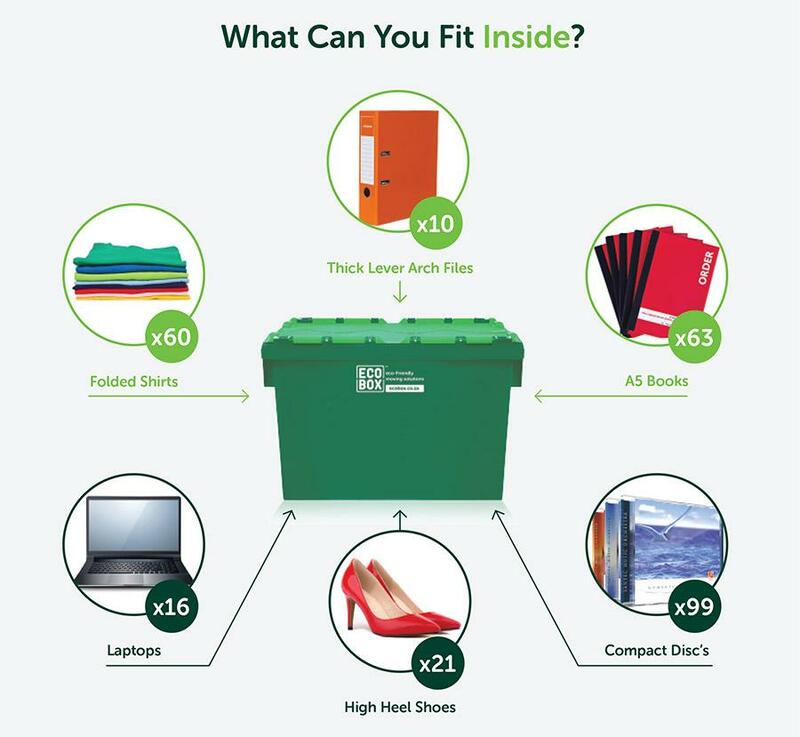 Ecoboxes also won’t break, buckle or expose items to water damage, making them ideal for moving office files, documents, books and stationery. A further advantage of buying a large office moving kit – once you’ve moved and unpacked, you won’t have to arrange to dispose of the boxes. Just notify us and we’ll collect the empty boxes from your new office premises. Order a large office moving kit online and let us help you ensure your office relocation project proceeds smoothly and on budget.